BILATERAL/ECONOMIC/COOPERATION AGREEMENTS WITH FOREIGN COUNTRIES. Africa for a long time was the cornerstone of Nigeria�s foreign policy initiative. This in itself was modulated by a need to stimulate and enshrine the tenets of justice, equity and societal development, the emancipation of the oppressed and the true independence of African states. It was underpinned by the involvement of Nigeria in independence struggles and peace processes in Africa. However, economic indices and realignment of global interests have necessitated a new focus in Nigeria�s foreign policies, especially in the drive to improve the economy and grow the industrial base of the nation. On the larger scale, Nigeria maintains cordial and mutually beneficial relationships with many nations and international organizations. For instance, Nigeria is a notable member of the United Nations with eminent citizens holding offices in that esteemed body. Nigeria has also at various times, been given the privilege to preside over the meetings of this world organization, presided over the World Court and held positions of eminent responsibility on global issues. Nigeria enjoys excellent relations with many countries of the world leading to good trading and other bilateral relationships. Being a member of many world organizations and playing noted roles in those organizations has shown Nigeria to be a country truly committed to the tenets of the comity of nations. Nigeria plays active roles in the United Nations and its agencies, the African Union, the Commonwealth and closer home, the ECOWAS. Nigeria also belongs to international organizations such as OPEC, International Labour Organisation, the IMF, the World Bank, Interpol, the Non-Aligned Movement and many others. In addition, the country maintains good relations with noted bodies like USAID, DFID, and other development organizations. As a key member of the Economic Community of West African States, (ECOWAS), Nigeria has played major roles in peacekeeping processes in the sub-region. Nigeria�s contribution to the military peacekeeping body, The ECOWAS Monitoring Group is noteworthy in this respect. The Anglophone countries of the West African community, following the outbreak of internecine war in Liberia in 1990, set up the ECOMOG. Nigeria provided the bulk of the funds used in running the body. 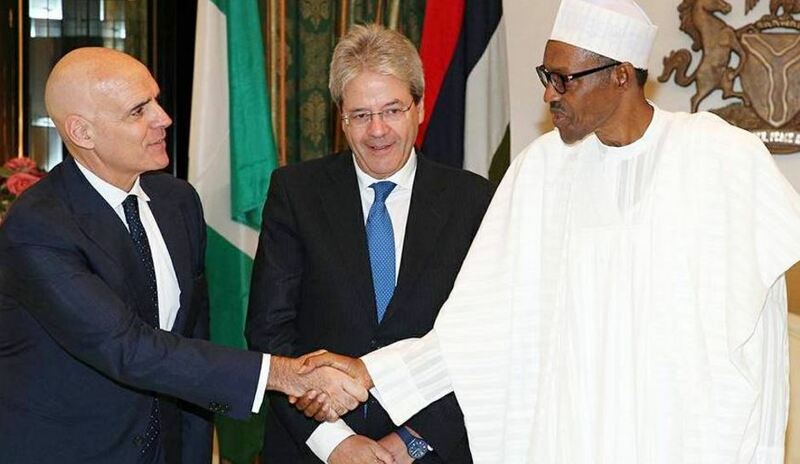 Shuttle diplomacy and round-table talks brokered by Nigeria have also seen to peaceful resolution of internal conflicts and political uprisings in west African countries such as Cote d�Ivoire, Togo and Senegal. ECOMOG, largely saw the return of peace to countries such as Liberia and Sierra Leone. In fact the ECOMOG put down the mutiny that ousted the President of Sierra Leone in May 1997, and returned him to power by March 1998. Nigeria has also sent peacekeeping contingents to other parts of the globe such as Yugoslavia and Bosnia. These had worked with United Nations Peacekeeping Forces (UNIFIL) and policemen and women from the affected countries. In the past, Nigeria had provided recognition and support to oppressed peoples, backing the anti-apartheid movement until that regime was dismantled. Nigeria had also provided support to popular movements in countries such as Namibia, Mozambique, Zimbabwe and many of the southern African communities still under colonial rule. Nigeria has also provided its key professionals and statesmen to assist other nations in their development. The Technical Aids Corps (TACS) was founded in 1987 to assist states in Africa, Caribbean and the Pacific regions (ACP), to provide technical and ancillary services to African countries through Nigerian professionals. These Nigerians function mainly as doctors, nurses, teachers, scientists and engineers in these countries. The emoluments of these Nigerian professionals are paid 100% by the Nigerian government. Nigerians have been trusted with key positions in the government of some countries. For instance, a Nigerian once held the position of Chief Justice of the Republic of Botswana as well as Zambia. Africa is still largely the cornerstone of Nigerian foreign policies, though relations with other parts of the world continue to grow. The administration of President Olusegun Obasanjo has expanded Nigeria�s foreign relations outlook, reaching out to many countries and organizations, formalizing relations with them for mutually beneficial economic and other activities.